Do you need luggage tags? Anybody who regularly travels can tell you the stress of waiting for your luggage to come out and hoping it won’t be lost. Every time I’m waiting for luggage there’s always a tiny worry in the back of my mind that maybe, just maybe I’m going to end up at customer service filing a lost baggage claim. Remember, thousands of bags are checked in per hour at any major airport. Those sticky airport tags that loop around bag handles can rip off accidentally. Having a simple and reliable luggage tag that actually stays on my luggage helps to alleviate my worries. The leading cause of lost baggage is the lack of identifying information on or inside the bags. Luggage tags provide easily accessible information so employees can identify and contact the owners or match a name to a passenger list and destination. 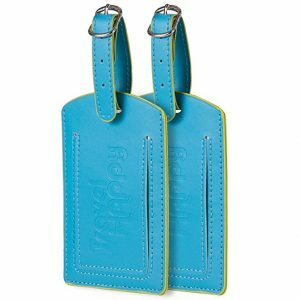 A nice, bright luggage tag also makes it easier to find your bags when there might be identical or similar looking bags coming out on the luggage belt. Mistakes can happen and noticeable luggage tags reduce the chance of somebody else taking your bags by accident. The same reasons also apply to carry-on bags and backpacks. Bags can get mixed up in overhead compartments, left behind by accident, or sometimes there is simply not enough room. Occasionally airline staff will make some passengers put their carry-on luggage down below with the checked-in luggage. A luggage tag acts like cheap travel insurance ensuring that staff know the bag is yours and how to contact you. This is also useful for hotels when the porter needs to find your stored luggage. You never know when you might leave your bag behind in a hotel lobby or taxi accidentally! The best luggage tags need to be reliable, able to withstand being knocked around, scraped, squeezed, bent and pulled. Durability is the most important factor here because they will go through heavy abuse over time. If they fall off too easily they are essentially useless. The free paper tags you often get do not withstand heavy abuse and I can’t tell you how many times I’ve had cheaply made paper or plastic luggage tags get ripped off or simply snap. Instead, it is best that the tags attach via a strong and short loop that keeps them close to the bag. You want to avoid long loops and tag holders that can catch on something or break easily. They should also be viewable from a distance and easy to identify from far away on a luggage belt. Bright colors or unusual designs help mitigate luggage mixups. Basic contact information should be visible or easily accessible. 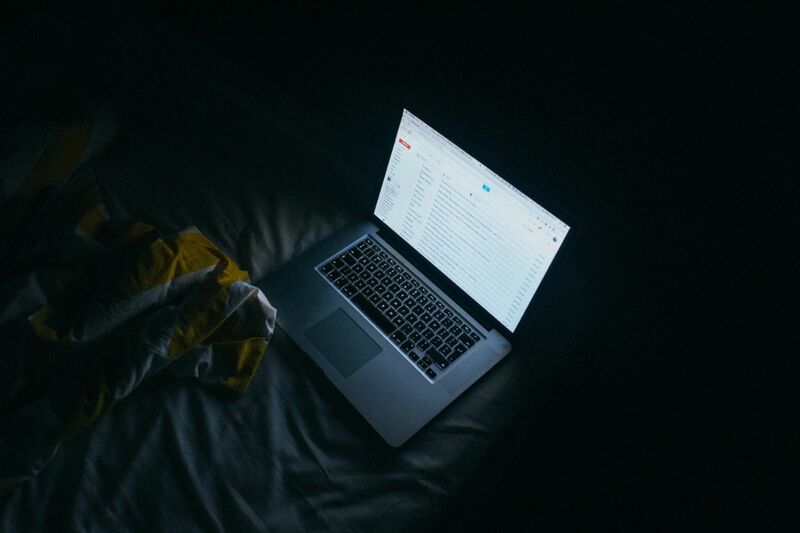 You should also avoid writing too much revealing information. There only needs to be enough to match you with a passenger list or to contact you quickly. Some luggage tags can have basic information on the outside but can open up after unscrewing to reveal more detailed information. If a luggage tag is leather, how is the stitching? Are there loose threads? Is it made of a cheap plastic or heavy duty PVC? Is the loop stainless steel? All these questions effect durability. Remember, safe luggage means peace of mind and happy travels! Below we have a list of the best luggage tags to suit your personal preference. 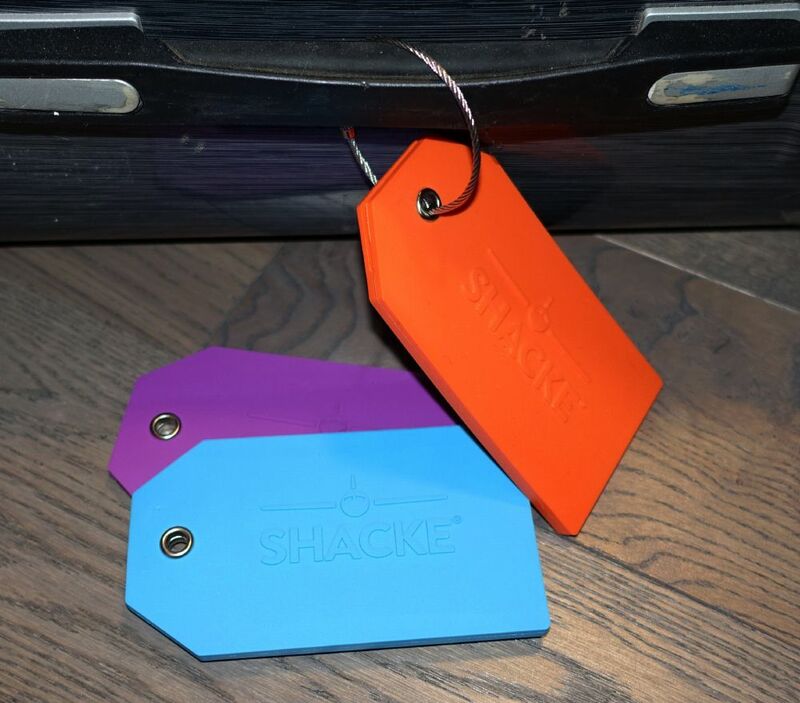 We found the most durable and best overall luggage tags to be the Shacke Luggage Tags with full back privacy cover. These tags are highly functional and perfect for any frequent traveler. They are constructed from very thick, high quality rubber that allows them to withstand heavy abuse. They’ll get some scuffs and marks naturally from travel but the rubber is flexible and bendable preventing them from breaking or suffering any real damage. The eyelet is stainless steel with a short stainless steel loop that is large enough for any luggage handle. It comes with an identification card you can fill out but it will also fit any business card. The front has a privacy cover that allows you to peak inside but requires you to unscrew the metal loop to be able to see the full ID card. 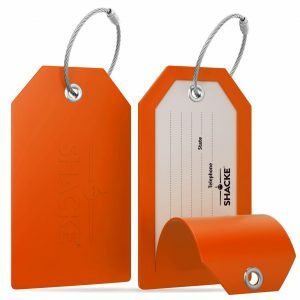 There are an assortment of bright colors to choose from (black, green, orange, pink, blue, purple, yellow) that makes it easy to see and distinguish from other luggage tags at a distance. At 4.5 x 2.5 inches these tags are quite large and heavy at about 1.5 oz per tag compared to most other tags at 1 oz. While the size and weight isn’t unreasonable these are probably best for suitcases rather than smaller backpacks and carry-ons, although they will still be fine for these. Either way these are fantastic, high quality luggage tags that are built like a tank. If you’d like to go the way of stainless steel, then the best ones are the TUFFTAAG Stainless Steel Travel ID. This pack of two comes in a range of eye-catching colors including gold, gunmetal, blue azure, scarlet and emerald. 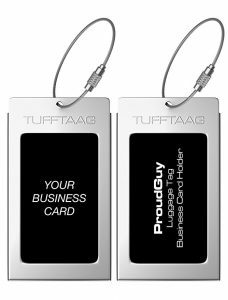 They are designed to hold standard size business cards or you can fill out your own ID card. The strap is a short 2mm stainless steel loop that screws together for a strong connection. Overall a great, tough stainless steel luggage tag that will last a long time. 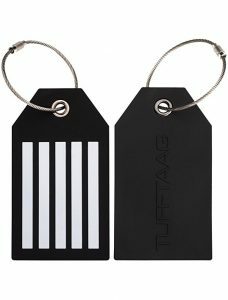 From the same brand as the stainless steel tags, we suggest the TUFFTAAG Rubber Luggage Tags. These are simple tags with no flaps, clear windows or slots for business cards. They are a single solid piece of flexible, thick rubber with an area that you can write your information in permanent ink (recommended to use a Sharpie). It uses 2mm stainless steel cables with metal eyelets to secure itself to your bag. The only problem with these tags is that once you write on them, you can’t remove the ink. So if you move or change your address you can’t change the information. It is best just to include your basic contact information that isn’t likely to change. There is also no way to prevent anyone from seeing your information since there is no privacy cover. But if you don’t mind that, this is a great and reliable luggage tag for anyone. 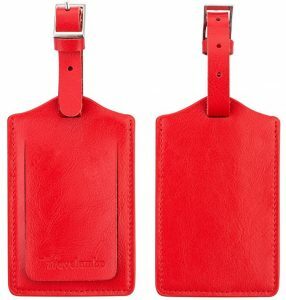 If you prefer leather, then we recommend the Travelambo Genuine Leather Luggage Bag Tags. These are reliable, soft and durable tags with reinforced buckles. They come in a variety of bright colors and have a relatively simple and traditional design. The privacy flap on the front protects your personal information from prying eyes but can be lifted easily. You don’t have to remove the entire tag to view the information, but it does let you check to make sure its your bag quickly. So far this tag has held up 2 trips with us. Our only concern is the buckle coming undone but so far its been fine. If you don’t want rubber or metal or leather, then go with heavy duty plastic! 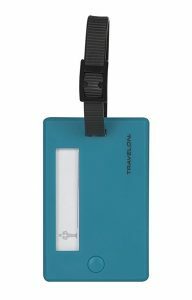 The best plastic luggage tags come from Travelon. These are made from a hard plastic and feel very durable and rugged. They do not fit standard size business cards and you must fill your information on a 2″x2″ sticker. That means you can’t really change the information after. From the outside you can only view the name until you remove the strap to see the rest of the information, which is great for privacy. The strap is made from a strong rubber. 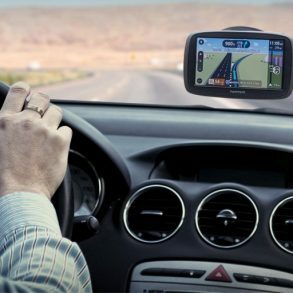 A smart design all-around and offers some of the best value for price. 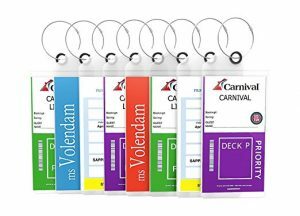 If you’re going on a cruise ship, we recommend the Highwind Cruise Tags and Etag Holders. 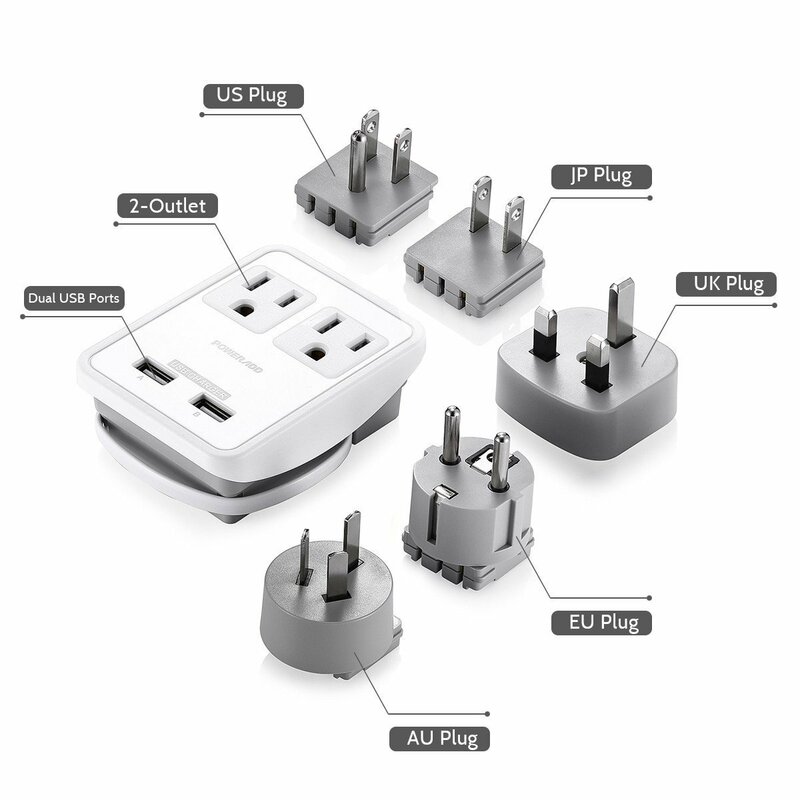 These are specifically designed for cruises aboard Princess, Carnival, Costa, Holland America and other cruise lines. They come in sets of 4 or 8 and are made from a thick PVC plastic and feel heavy duty. 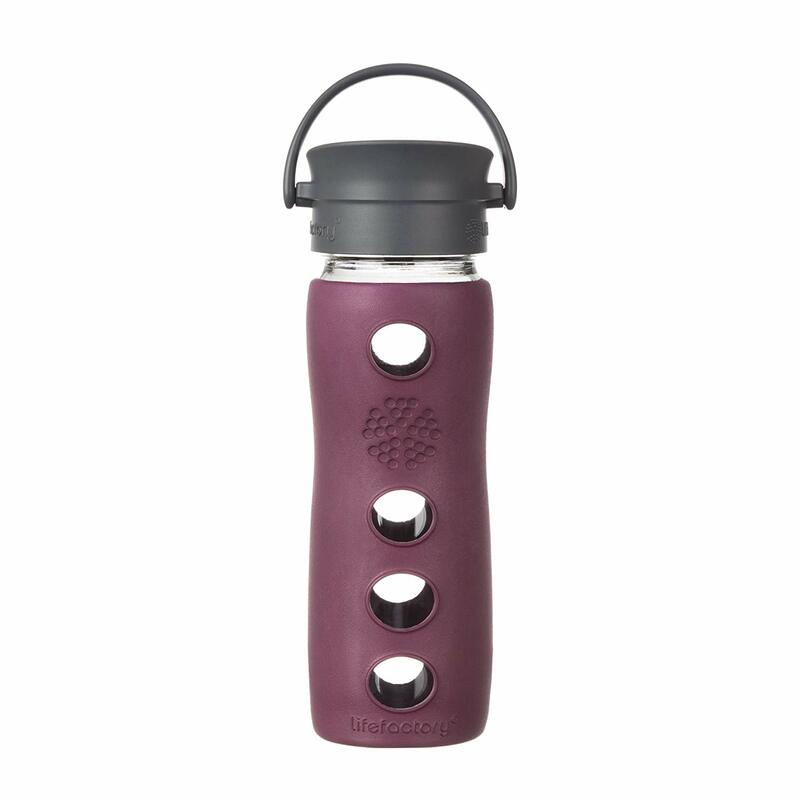 They are also fully waterproof and moisture-proof with a zip top seal. Think a tough ziplock pouch at 3.5 x 6 inches that you can slide your luggage tags into. The connectors are also stainless steel loops and screw together. If you love cruises and go somewhat often, these are perfect for you. They can also be used for sliding in ID information and used as an airplane luggage tag. The cheapest option are the NUOLUX Travel Luggage Tags. 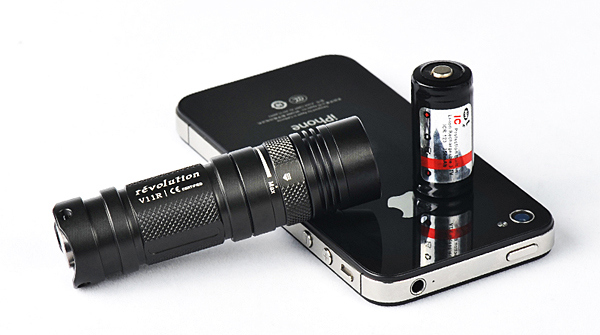 This 7 pack is made from aluminum alloy. While we would suggest purchasing one of the more durable luggage tags, these still work okay. We just can’t be certain of their durability over time and they seem to bend a bit and scratch a bit easy. They also don’t fit all business card sizes and the airplane shaped slit is too narrow to read much information quickly. To remove the ID card you have to unscrew the cable so that the card can slide out. 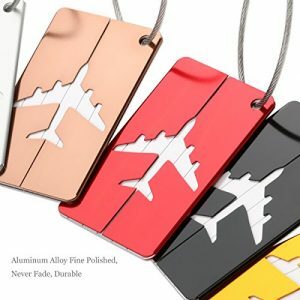 It isn’t a high quality product but if you just want some simple, cheap luggage tags then this is it. 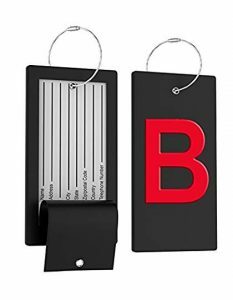 Another great option is the Highwind Rubber Luggage Tags. 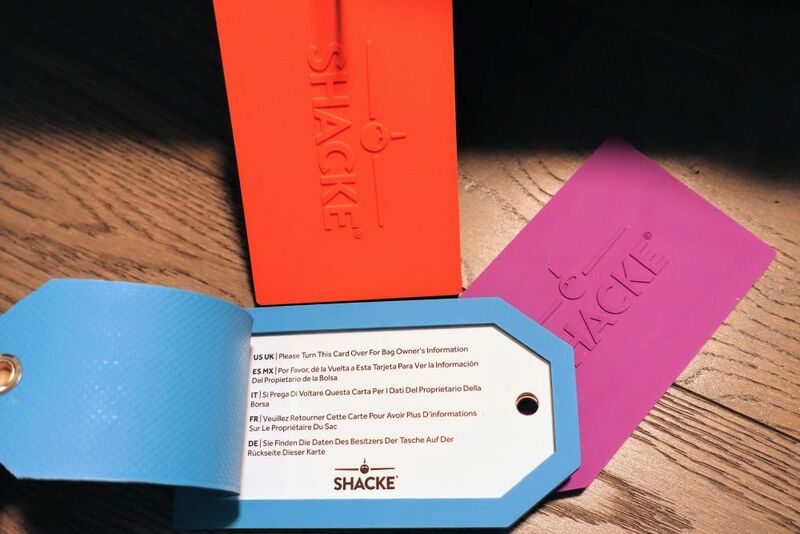 These are very similar to the rubbber Shacke luggage tags that were our top pick, but they aren’t quite as thick. They do, however, have a giant letter of your choosing on the front that allows you to distinguish your bags from others quickly. Includes an ID card and stainless steel loops and is well-made. Another leather one is the Bellerina Luggage Tags. The colors look nice and they appear decent, but there are reports of inconsistent quality and the buckle not holding up over time. We would actually avoid these. They aren’t luggage tags, but these Graffiti Decals (100 pack) are a fun way to make your luggage stand out and add a bit of personality! 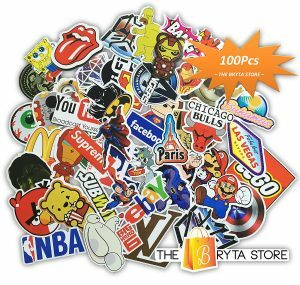 This pack includes a random assortment of high quality logos, characters and iconic images in a range of sizes. 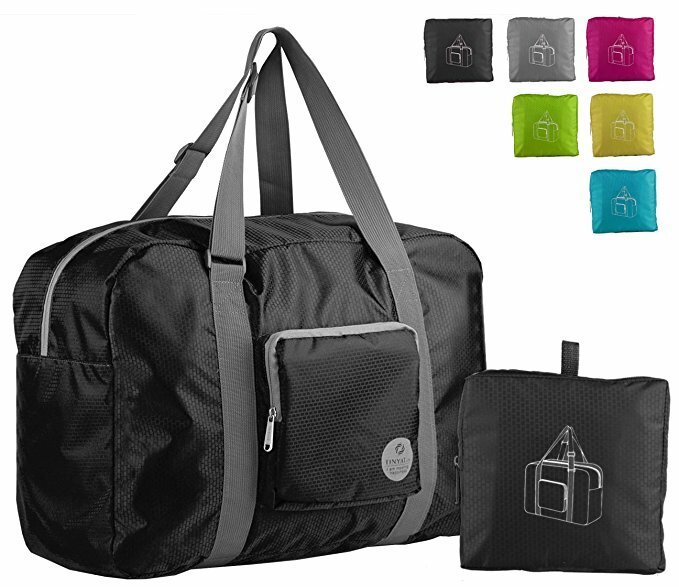 You’ll instantly be able to tell which bags are yours at a quick glance. While we don’t recommend adding all 100 stickers to your bag (you might look a little crazy at the luggage claim), adding a few or even a dozen can make things more interesting and unique. Or you could combine a bunch of them into a collage. They are adhesive vinyl stickers so they’ll stick to most surfaces including backpacks, helmets and laptops. Just be aware they might leave a mark or residue if you try to remove them later. Best Travel Mug of 2018: How to Choose The Best One?